According to Nielsen BookScan, 571 million print books were sold in 2015, up 17 million from the year before. To publishing experts, like Carolyn Kellogg, Book Editor at the Los Angeles Times, it seems to suggest that a balance in the hard copy versus digital debate has been struck. “E-books have definably leveled off. They were predicted at one point to be 50 to 60 percent of the market, and that seems to have leveled off to around 25 percent,” she says. It’s also, perhaps, an indication that in reading and learning, like everything else, we prefer a choice and the widest possible range of options customized to our individual preferences for absorbing and retaining information. So as students returned to campus for the fall semester, how were these preferences reflected in the course material options available to them, and what was the price paid for that kind of flexibility? Informed by their deep research into the preferences of Millennials, and now Generation Z, Barnes & Noble College is increasingly supplementing and enhancing traditional learning materials with newer digital opportunities. Providing flexibility for both students and instructors, the offerings include Open Educational Resources (OER) capabilities, with the ability to build affordable and engaging custom course materials through XanEdu. Offering a wealth of mixed-media content, including videos, audio clips and traditional text, OER can provide greater access, flexibility and a deeper dive into a subject matter for students. Traditional textbooks can be supported by a wealth of ancillary customized information, and faculty can create their own coursework that will more accurately reflect the individual needs and focus of their courses. 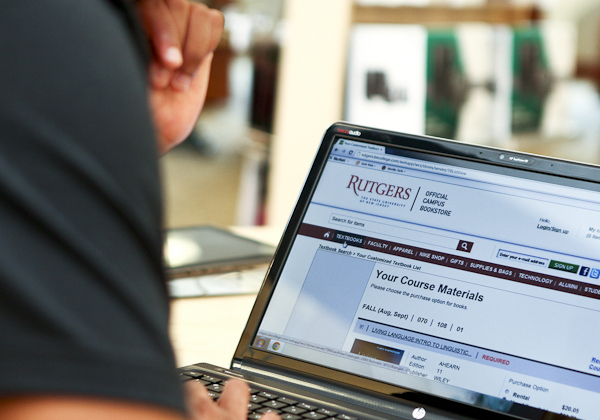 Click here to learn more about Barnes & Noble College’s OER and Custom Course Pack solution. 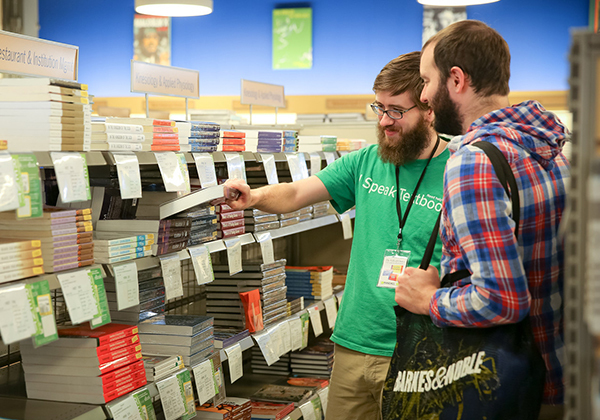 With almost 50 years of experience providing course materials to students nationwide, Barnes & Noble College offers the largest selection of affordable textbooks and trade books available. “We’re able to leverage the relationships we have with over 7,000 publishers,” explains Patrick Haze, Vice President of Course Materials for Barnes & Noble College, “and that’s part of the key that has helped us deliver an overall $1.5 billion in savings, over the past five years, to our students,” he says. That leverage also enables Barnes & Noble College to develop and expand programs like Price Match, which guarantees that prices remain competitive with other textbook providers. In addition, students are increasingly seeing the advantages of acquiring their learning materials through renting. “In the last five or six years, the opportunity to rent has had a significant effect on student savings—and now almost 80 percent of the books we carry are available as rentals,” Haze says, adding that students are also able to take advantage of the bookstore’s rental buyout program, making the campus bookstore not only extremely convenient, but also a competitively priced source for textbooks and courseware. Another Barnes & Noble College initiative that helps to defray the costs of learning is First Day, where learning material costs are included in the price of tuition for a particular course or program. With the program, students come prepared on the first day of class with all of their required materials—an important advantage in achieving greater student success—while also significantly reducing costs to students. Partnering with Barnes & Noble College and publishers such as Cengage and Pearson, institutions like Kentucky Community & Technical College System (KCTCS) have been adopting First Day for over 1,000 courses across their 16 campuses, realizing average student savings of 20 to 50 percent. This year’s new and returning students have already found their course materials, ordered, and received their textbooks from their campus bookstore, but that doesn’t stop the resolve of Barnes & Noble College to continue to look for new and innovative ways of delivering flexibility and savings. “Barnes & Noble College works on many different levels. They work well with publishers and advocate for our students by developing rental and used textbook programs, e-books, and hard copy materials,” notes Honey Sue Fishman, Executive Director, Business Services & Student Center Operations at Columbia University.